Our assessments are more than just tests. They are integral tools for gathering information about student progress, strengths, and weaknesses in order to provide the best possible education. 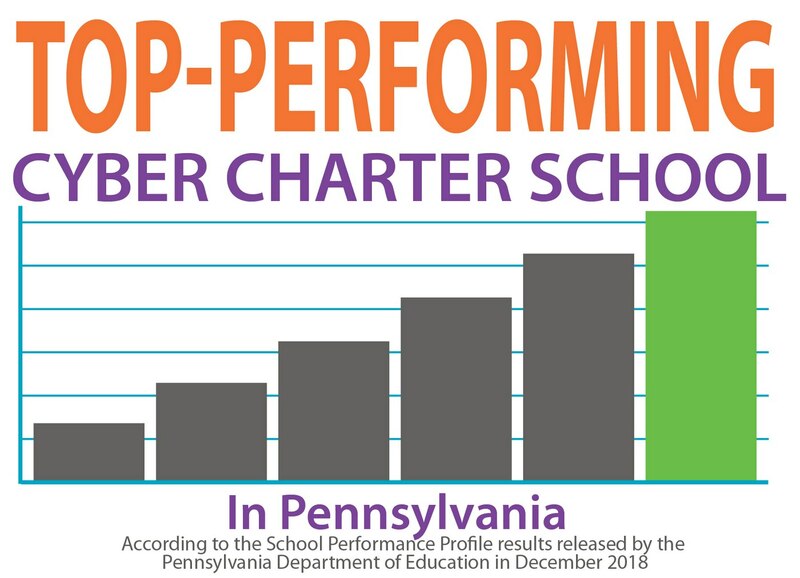 We are pleased to report that PA Virtual received the highest School Performance Profile Score out of all cyber charter schools in the state for the 2017-2018 school year! Pennsylvania System of School Assessment (PSSA): Standardized tests that measure a student’s proficiency in English Language Arts, Mathematics, and Science. Results also assist schools in identifying the strengths and weaknesses of their academic programs. In accordance with Act 22, the Pennsylvania Charter School Law, all of our students in grades 3 through 8 are required to take the PSSAs. Keystone Exams: End-of-course assessments designed by the Commonwealth of Pennsylvania to assess proficiency in the subject areas of Algebra, Literature, and Biology. The Keystone Exams are one component of Pennsylvania’s high school graduation requirements. Families are responsible for bringing their PA Virtual student(s) to all required state testing. PA Virtual organizes testing sites around the state, strategically selected so that families are not required to travel more than a 50 mile radius. PA Virtual offers approximately 35 sites across the Commonwealth for your convenience. Please see a sample schedule below that provides past testing locations for your reference. Early literacy and math screenings are administered twice a year to students in kindergarten through 2nd grade. Study Island and Exact Path - tools that provide assessment to determine student needs as well as lessons and activities for supporting academic growth. Formal and informal assessments to determine mastery of course objectives and academic standards. To learn more about enrollment in PA Virtual and our placement assessments, contact us today.